In 2008 alone, 2.5 million tons of plastic bottles and jars were thrown away in the United States (EPA). Plastic waste can be greatly reduced by replacing single-use bottled waters with reusable water bottles. Nature’s Academy field trips take place outdoors in the hot, Florida weather, thus participants must be given plenty of water. Often coming from homes of limited means, our students are not equipped with their own reusable water bottle during the field trip. Currently, participants are given bottled water to ensure their safety and adequate hydration. To further green our educational programs, we must eliminate bottled water and implement a sustainable alternative, such as reusable water bottles. Placing a sturdy reusable water bottle in each of our students’ hands bestows a tangible Tool of Change that communicates the notion of environmental stewardship. This take-home message keeps the BP oil spill present as students realize ways to deviate from petroleum-based materials and conserve resources. By reducing, reusing and recycling program materials, we practice what we teach our students and solidify our message of sustainability. Our Tools of Change Project aims to supply reusable water bottles to our Title I programs and eventually to all participants by 2020. 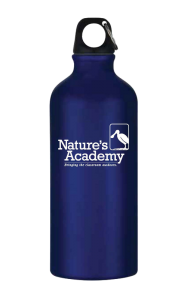 If your business helps fund our supply of reusable water bottles, we will feature your logo* on these tangible tools of change for students to take anywhere they go! *A minimum donation of $1,000 is required to feature logo.